Stone ground grits topped with two fried eggs*, Nueske's applewood-smoked bacon and Cabot aged cheddar cheese. Garnished with scallions. Served with toast. 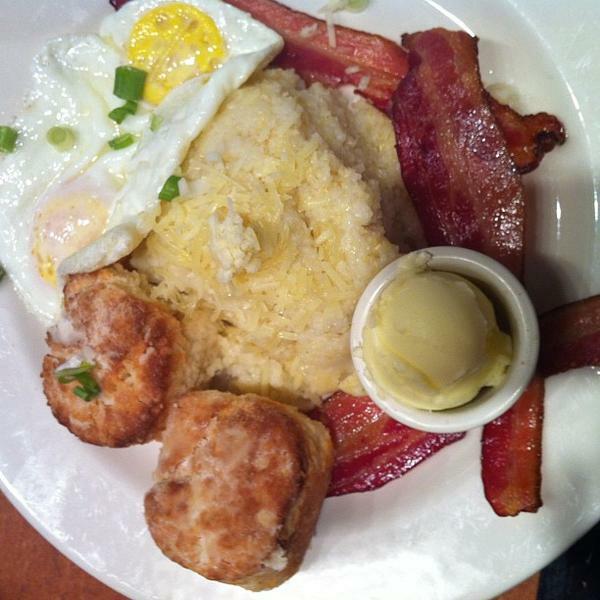 "...the grits and eggs (stone ground grits topped with two fried eggs, nueskes applewood-smoked bacon and cabot aged cheddar cheese..."